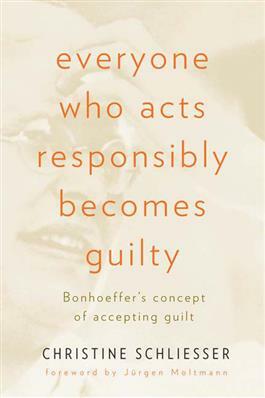 "Everyone who acts responsibly becomes guilty" was a basic premise that Dietrich Bonhoeffer expressed in various ways in his theology and ethics. Even Bonhoeffer's own actions--in praying for the defeat of his country in World War II and in participating in a plot to assassinate Hitler--demonstrate the tension between the reality of guilt and Bonhoeffer's ethical decisions. In this study, Christine Schliesser examines the problem of guilt in Bonhoeffer's writings, arguing that the concept of accepting guilt emerges from Bonhoeffer's understanding of Christology. Since Jesus Christ has accepted the guilt of humankind, so the disciple must also be willing to accept guilt for the sake of the other. In addition, Schliesser reveals the unresolved tensions that emerge in the concept of accepting guilt and discusses the extent to which Bonhoeffer's concept is still relevant to Christian ethics today.